I have always wondered about happiness and why it’s mentioned in our Declaration of Independence as an inalienable right. Even as a kid I was aware that happiness looks different to everyone. All of us want to be happy, but how can we achieve it, let alone define it? What Did Jefferson Mean by Happiness? I did a little digging on the internet about it, and there is a popular theory that he meant wealth. The Will Smith movie “Pursuit of Happyness” was about the search for money as a path to security. Anyone who has struggled with money will certainly understand this idea. If you have ever heard of Maslov’s Hierarchy of Needs, you know this is the second level of the pyramid. Money is a building block for happiness if you look at it this way. I agree that a certain amount of money is necessary for security and that a lack of financial security can cause anxiety which makes happiness seem impossible. 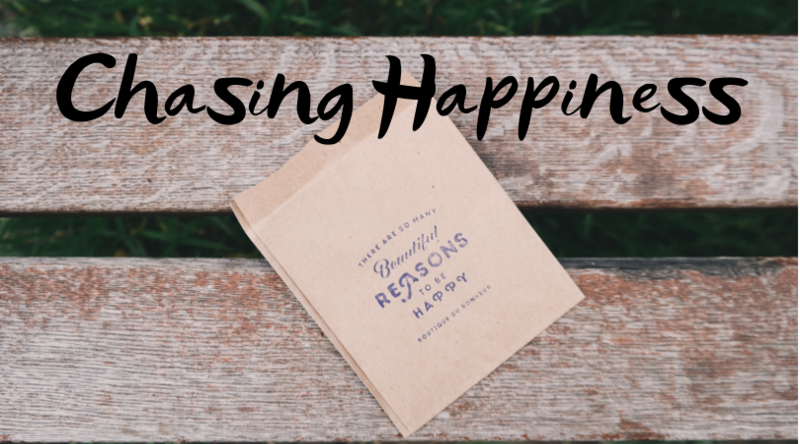 If you are struggling with overall happiness in your life, try narrowing it down to right now. For instance, a really good cup of coffee makes me happy in the moment. Hearing music I love can make me smile instantly. Have you ever heard a favorite song in an unexpected place like the grocery store? I have a few times and it has always brought happiness. A broader thing for me is my home makes me happy because I am surrounded by things that remind me of good memories of family and travel. The next layer is that I love the state I live in, so I feel happy about my choice to move back here about 15 years ago. I have a small circle of friends who all contribute to my overall happiness in some way. One of the most popular classes at Yale is The Science of Well-Being, available to students and the general public through Coursera. I have it on my list of classes to take; it’s free to audit, or only $49 to get a certificate proving you took a class at Yale. I love to learn new things, and Coursera is a fantastic way to get the benefit of some highly-rated schools for free or a minimal price. I suppose I’m saying learning makes me happy, too. Read about happiness, here is a list of blogs about it. I’m fond of Gretchen Rubin’s Happiness Project blog and book. Don’t worry about happiness. This sounds like I’m saying do nothing, but what I mean is, worrying is a way to rob yourself of positivity. Compartmentalize things, meaning don’t let a bad moment ruin a good day. Say someone cuts you off when driving, just find happiness in the fact that you didn’t have a wreck. Avoid absolute thinking. For instance, don’t say to yourself, “I will always be underemployed.” Instead say, “I am not in a challenging job, but I am really good at it.” Celebrate the successes while you plan for something better. Smile. Now smile again and mean it. I had a boyfriend who used to say that to me, and my second smile was always genuine. BillCutterz is in the business of helping people gain control of their finances. Take a few short minutes to sign up and submit your bills. Then our team of Savings Experts will go to work cutting them down for you. In my opinion, having someone else spend time on the phone will add to my happiness level because I hate haggling and making those annoying phone calls.